Match Attax, the World's most successful Football Trading Card Game returns for another amazing edition. Head down to your nearest WHSmith High Street store and receive one free pack of Match Attax Trading Cards - 5 pack. 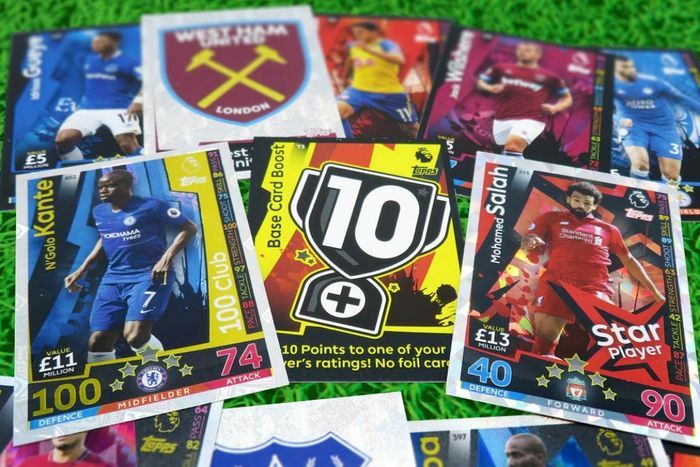 The official Premier League Trading Card Game features stunning new cards, brand new foil sets, addictive gameplay and all of the stars of the Premier League. With over 450 cards to collect, the 2018/19 Match Attax collection is a must-have for football fans everywhere and promises to be the biggest season ever. Eligibility Criteria: The promotion is open to members of Priority who are UK residents age 16+. Offer Start and End Dates: Offer is valid from 3pm on 03/11/18, 10/11/18 and 17/11/18 only, while stocks last. Redemption Instructions: To redeem this offer, present your code at the checkout. Offer Goods/Services: This offer entitles you to one free pack of Match Attax Trading Cards (five cards per pack). This offer is available in WHSmith High Street stores only. Excludes Outlet stores, Online and ‘Books by WHSmith’ at Selfridges, Harrods, Arnotts and Fenwick’s, WHSmith ‘Local’ and all Travel stores including those at airports, railway stations, motorway service stations, hospitals and work places. This offer is one code per customer and cannot be used in conjunction with any other voucher offer. Online and Internet-enabled phones required.